When Maurita Harris set out to learn American Sign Language, she started with an ASL dictionary. That question served as the impetus for a video game that Harris, a recent NC State graduate, is creating overseas. As a 2015-16 Fulbright Scholar, Harris is in Berlin working to develop the game, tentatively called “Chatty Hands,” that will help teach German Sign Language. Harris, who earned her bachelor’s degree in psychology in May 2015, is one of three recent College of Humanities and Social Sciences graduates who received a Fulbright grant this year. To create the game, Harris is taking courses in sign language in Berlin with her faculty adviser, Dr. Matthias Rötting of the Technische Universität. She’ll also be working with the Sign Language Lab at Georg-August Universität in Göttingen, Germany. Thanks to books like “Grimm’s Fairy Tales” and meeting two influential German women when she was a child, Harris said she became interested in German culture at a young age. She took those curiosities with her to college, where she decided to learn German through NC State’s Department of Foreign Languages and Literatures. German is one of 15 languages the department teaches, and German Studies is one of its four major concentrations. In addition to a background in German language and culture, Harris also has some experience with the gaming portion of her current project. While at NC State, she served as an undergraduate researcher in the Department of Psychology’s Gains through Gaming Lab, which examines the relationship between video games and important psychological constructs. Serving under the lab’s co-director Jason Allaire, she worked on a variety of projects, including one in which she observed how a commercial video game, “StarCraft 2,” helped the cognitive abilities of older adults. Harris also served as a research assistant in the Learning, Aging and Cognitive Ergonomics (LACE) Lab. There, among several other projects, she studied whether static images or videos were better for teaching someone American Sign Language. The Fulbright provided an opportunity for Harris to continue her studies in Germany. 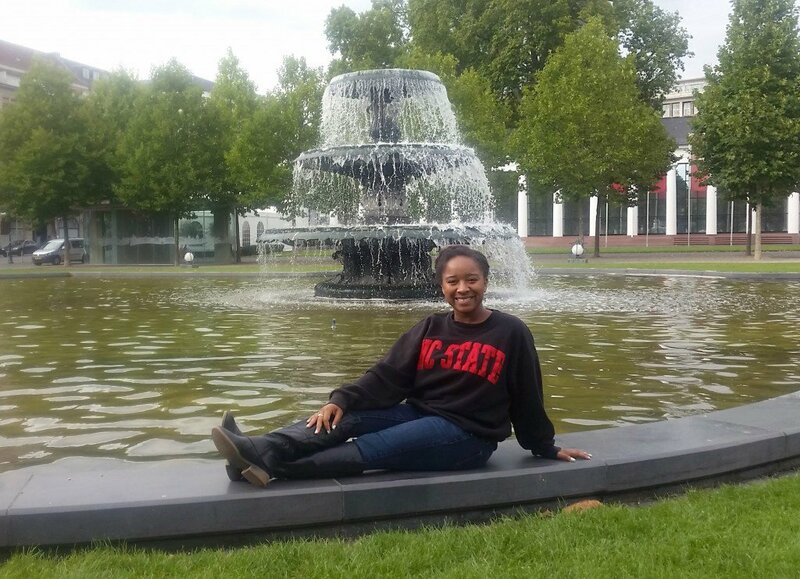 She applied for the program, while looking into graduate school and worked with NC State’s Coordinator of Distinguished Scholarships and Fellowships,Tiffany Kershner, to fulfill all the scholarship requirements. When her Fulbright ends, Harris will begin graduate school at the Georgia Institute of Technology, where she plans to earn a doctoral degree in engineering psychology. Her long-term goal is to become a professor, teaching human factors psychology with a research lab focusing on older adults, robotics, health devices and futuristic technology. This story originally appeared on the NC State College of Humanities and Social Sciences web page. You can find the original story here.